The wait is over. (The wait in front of Tesla stores is far from over though). After months of anticipation and anxious speculations, we've finally come to the official revealing of Tesla Model 3 last night. Will Model 3 surpass its predecessors in sales and adoption? A decade has passed since the launch of Tesla’s first electric vehicle – the Tesla Roadster. Musk’s vision to create an electric car for the masses was empowering, yet the technology wasn’t affordable and far from advanced enough at the time for it to really break through. In the past few years however, Tesla has brought its flagship sedan Model S and an SUV Model X to our doorsteps. Though the latter remains a car for the niche, the Model S has proven to be a true model for the masses, and has become the best-selling electric car world-wide. The Model 3 represents a major step in Tesla’s evolution as a car company. While Tesla has shipped about 100,000 electric cars to date, the company plans to boost that number exponentially over the next five years with the help of its newest mainstream model. Yesterday’s launch represents the natural transition from high-end luxury, to better affordability that puts the company right on track towards its mission – to disrupt the industry by making electric driving for the masses. One of the most talked items last night, was the Model 3 price tag. Musk confirmed the new model will start at $35,000 for the basic configuration. Depending on the region of residence, government incentives or tax breaks may save you a chunk from this price. The Model 3 is a significant change for Tesla, as it will attract mid-range buyers that seek for a powerful, yet (more) economic car. This puts Tesla in direct competition with reputable electric cars such as the Audi A4 ($39,500), Mercedes-Benz C-Class ($42,500) and the BMW 3 Series ($42,000). This means that Tesla will face stronger competition from a pricing point of view. The EV market has a fair amount of affordable EVs and more automotive manufacturers are on their way with new mass models. A new battery architecture, a new motor technology, and a brand new interior design. Mass production of car batteries specifically, is the star of this new release –the affordable price tag wouldn’t have been possible, if it wasn’t for a siginificant reduction in battery costs. Now, what are Model 3’s features? A basic Model 3 will do 0-100 km/h in less than 6 seconds, with upgradable versions that will accelerate “much faster” according to Musk. The extensive driving range of 320 km is a big plus, and can be combined with fun, exclusive features such as the Autopilot and the Ludicrous Mode. Surprisingly against many predictions, Musk confirmed that the Autopilot will be be available in the Model 3 basic configuration. To activate it, buyers won’t need to pay additional fees. As of this moment, no information have yet been released about the Ludicrous Mode. Last night's event confirmed however, that similar to the other models, the Model 3 will be supported with Tesla's Supercharger network. The free charging service continues for now. Now let's take a look at the car design. The smaller sedan has some interesting touches, such as the the front to rear roof area. From the windshield all the way to the trunk, this part is one continuous piece of glass. Similar to the Model S, it's equipped with front and rear trunks for storage. Musk wanted "more cargo capacity than any gasoline car of the same external dimensions". The standard display is now replaced by a 15-inch touchscreen. And the car will come in both rear-wheel drive and all-wheel drive versions. Finally, Musk emphasized that the Model 3 would be “5 stars” in all categories of safety, while still maintaining optimal comfort - the car should be able to comfortably fit five adults as Musk mentioned during the event. A common complaint from Tesla owners has been the uncertainty and lack of reliability in the shipping dates of Tesla products. A crucial point for Model 3, as potential buyers looking for an affordable EV can easily lose interest and turn their attention to a variety of other EV models that have no history of lengthy setbacks. Musk shared yesterday, that the Model 3 will be ready for shipping late 2017. This means however, that we won’t be seeing a large number of Model 3s on the road until late 2018, early 2019. This doesn’t seem to hold back die-hard fans, who have already reserved their Model 3 for a symbolic amount of $1,000. EV-lovers will most likely join them soon, as owning an affordable AND powerful EV have now become reality. We've listed the essential car and charging specs for Tesla Model 3 here. Learn more about EVBox products and services at EVBox.com or request a quote. 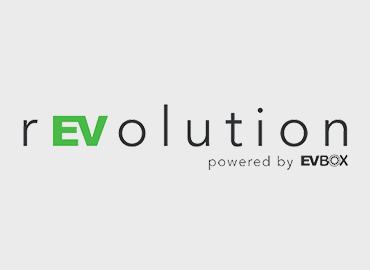 Follow us on Twitter and Facebook for all things exciting in the world of sustainable tech and e-mobility. No time to read? Tune in on Instagram for some out-of-this-world adventures of our charging stations. The EV revolution is here. Here are the hottest electric cars of 2019! It's time to start gearing up for the new electric cars that will hit the roads in 2019. Even if you aren’t considering purchasing a new electric car next year, you can’t avoid being excited about the 15+ new EV models coming in 2019. Check them out here! The FIA Formula E (E for Electric of course!) championship has plugged into the zeitgeist of these days of environmental consciousness and, more importantly, stirred multiple players into action! New year, new beginnings — for lots of brand new electric cars, that is. In 2018, the number of electric vehicles on the roads is expected to increase from three to five million.